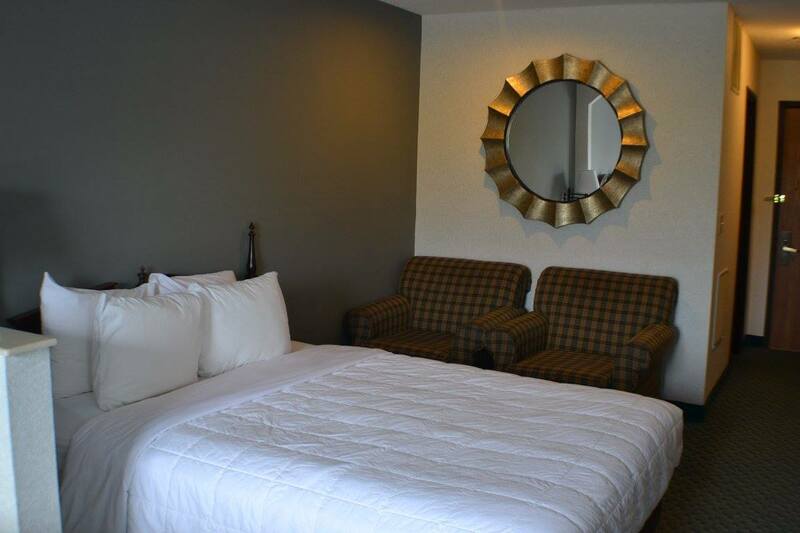 We invite you to relax in your guest room, which features a coffee maker, flat screen TV, iron and ironing board, and hair dryer. Most rooms come with a small refrigerator and microwave. 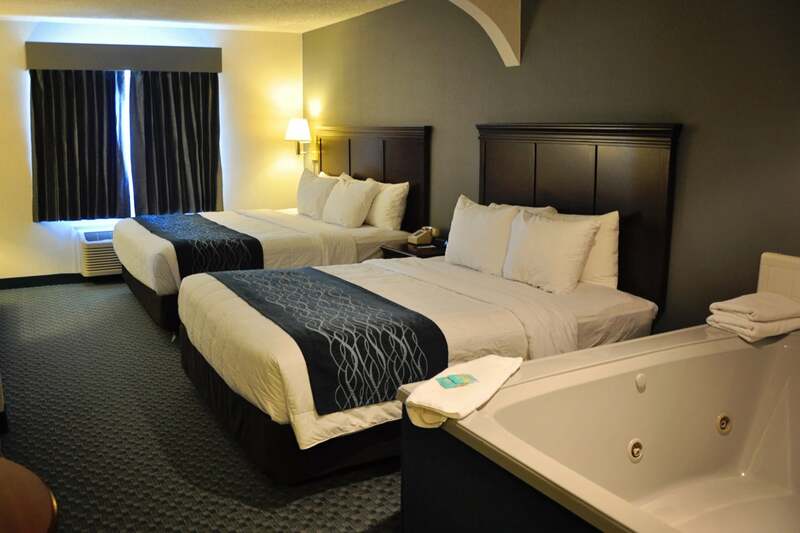 Whirlpool suites are also available. 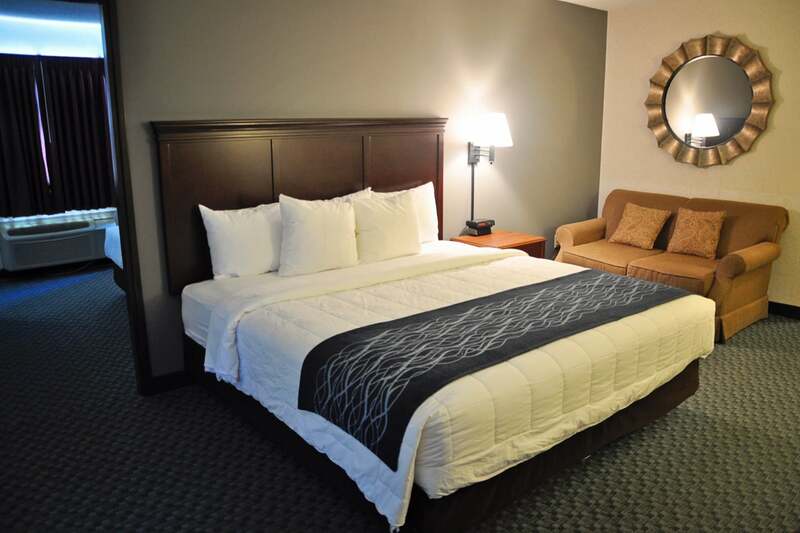 Our rooms with 1 king bed has all the amenities listed above with the addition of a comfy recliner. 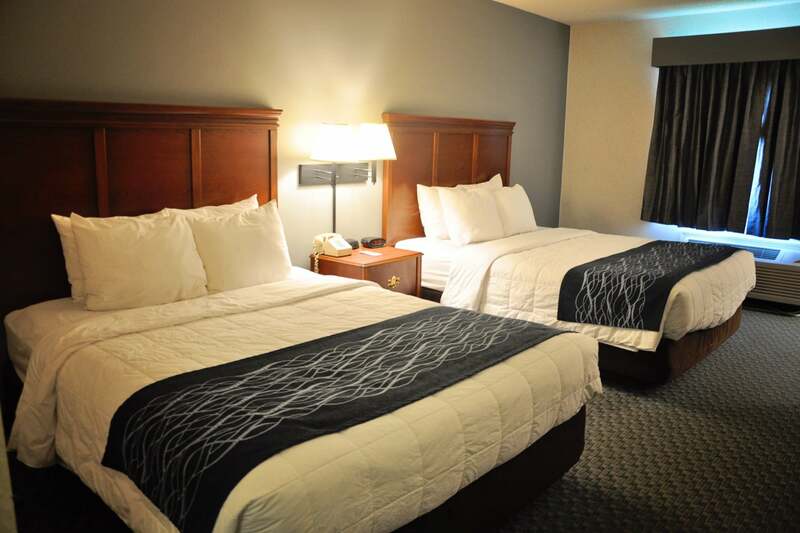 Our Standard room features 2 queen size beds with 4 comfy pillows on each bed, 2 firm and 2 soft so you can pick your favorite! 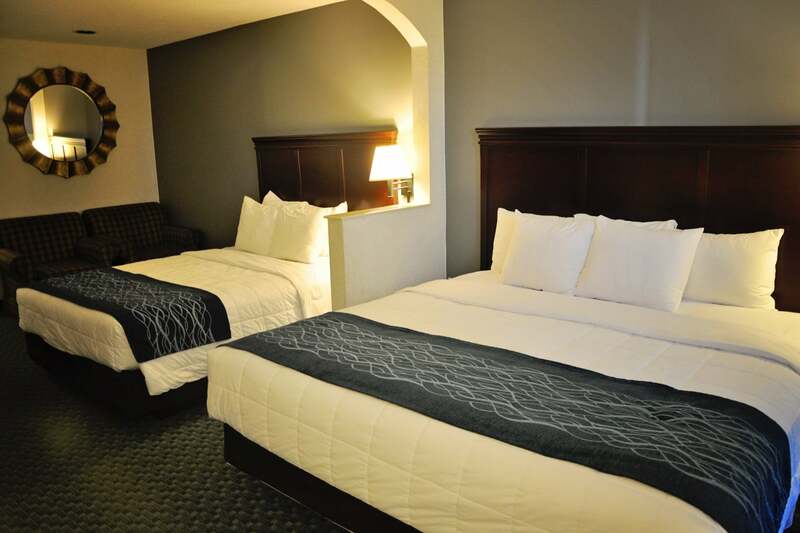 For a little added floor space we offer a room with 1 queen bed and 1 king bed. It comes with a refrigerator & microwave cabinet. It also has a couple of arm chairs for relaxing in. This room is perfect for a family with children. 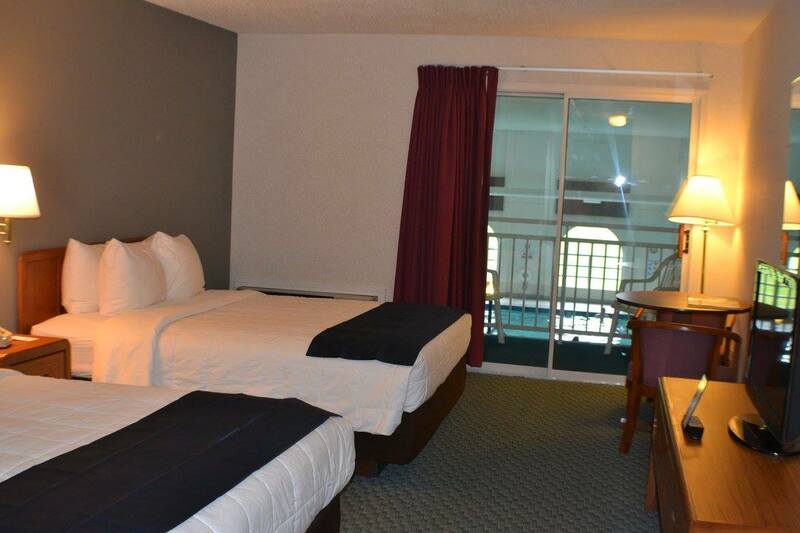 Our largest room is a 2 bedroom suite. 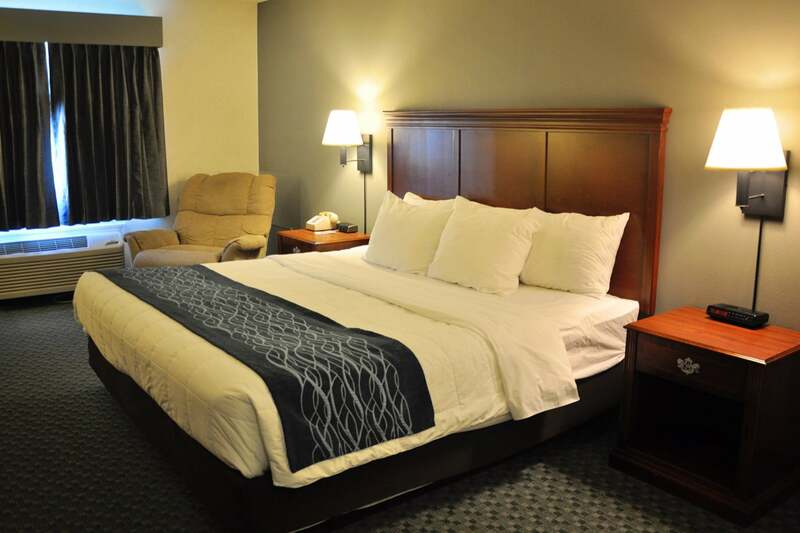 It has a king bed and love seat in the main room with a flat screen TV, refrigerator & microwave cabinet and a separate bedroom with a queen bed, dresser and flat screen TV. This room allows for some privacy when sleeping. 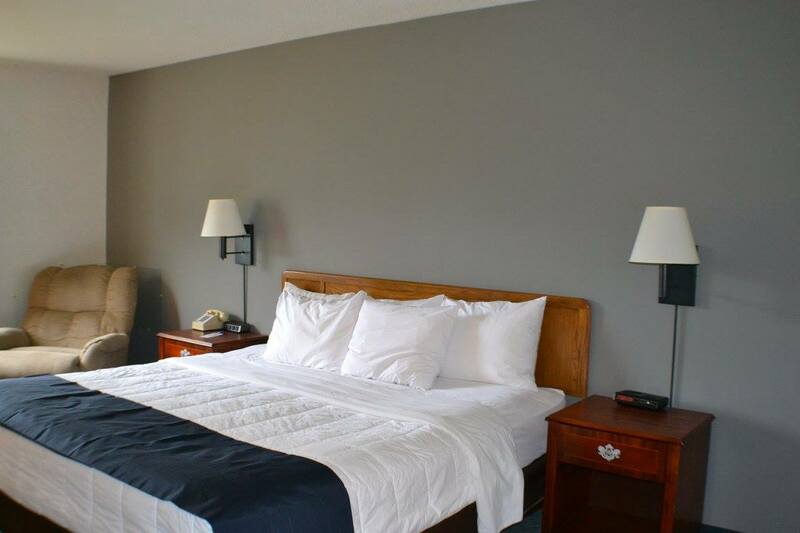 We also have rooms with 2 queen beds with a balcony overlooking our indoor pool. These rooms have a refrigerator & microwave cabinet. These rooms are great to watch the kids swim! 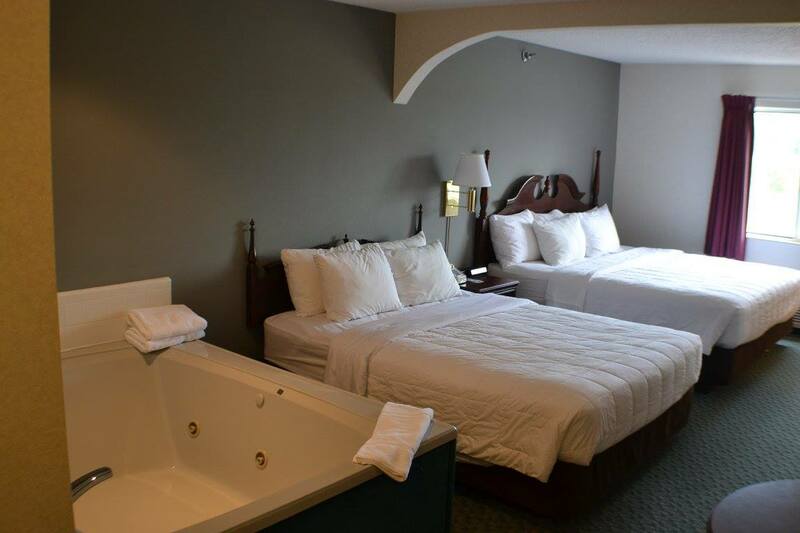 For the ultimate in relaxing nights, you would want our rooms with 1 king bed, 1 queen bed and an in-room hot tub! It also has a refrigerator & microwave cabinet along with all the other amenities listed above. 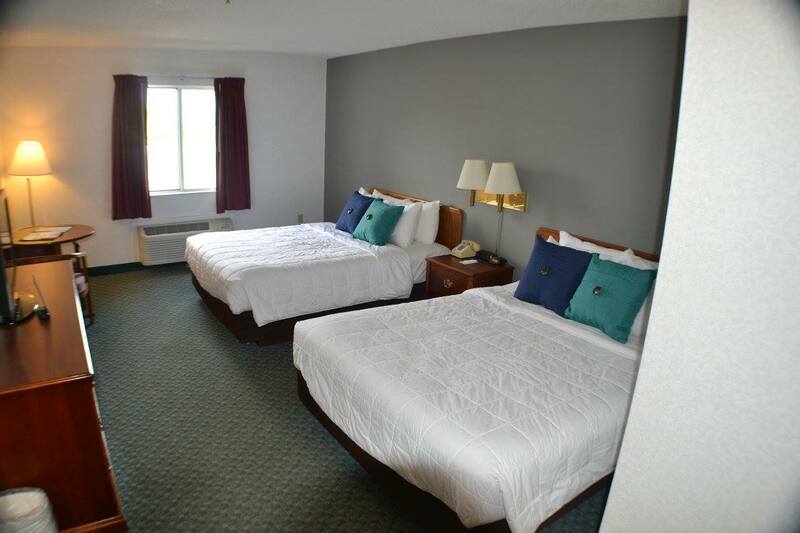 We also have 3 rooms that are handicap accessible. 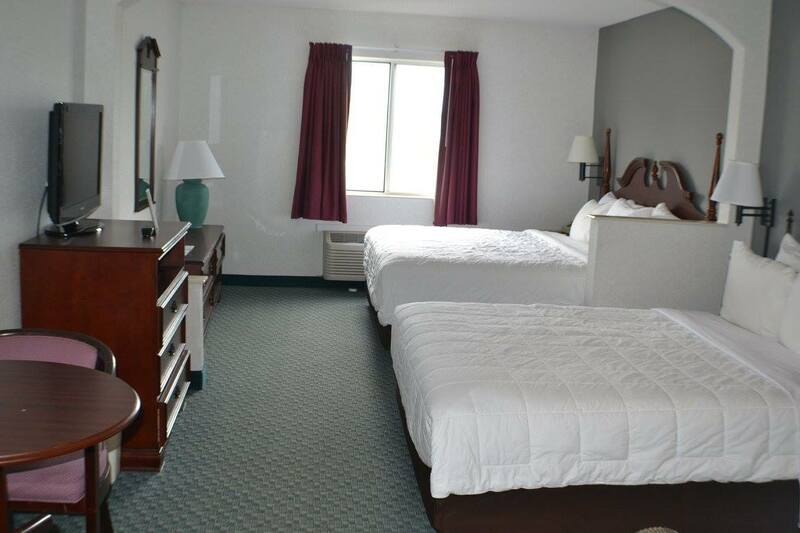 Two of the rooms have a king bed with a recliner and the third room has 2 queen beds.